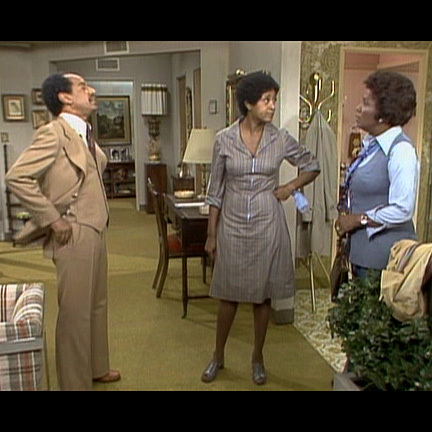 This day dress was worn by “Florence Johnson” portrayed by actress Marla Gibbs from several seasons throughout sitcom series, “The Jeffersons”. 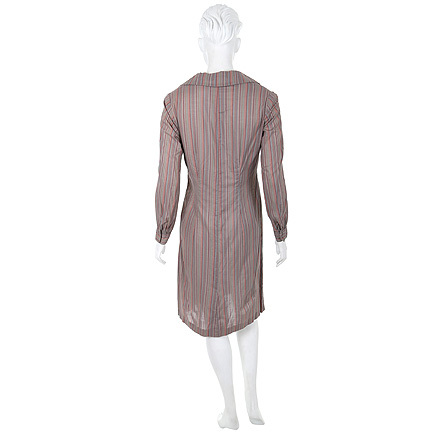 Ms. Gibbs can be seen wearing this dress regularly from series including episodes 48 49, 60, 61, 65, 101, 110, 113. 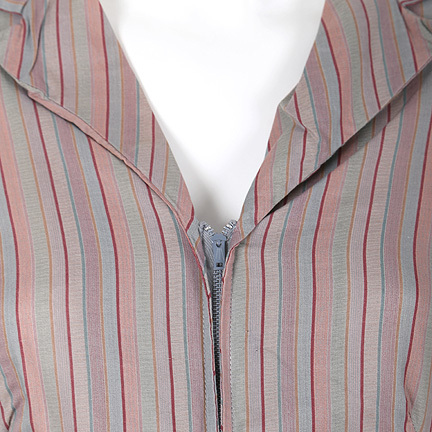 As the character Florence, she wears this outfit often while working within the Jefferson’s apartment, serving breakfast, dusting, welcoming guests and around the apartment’s floor. 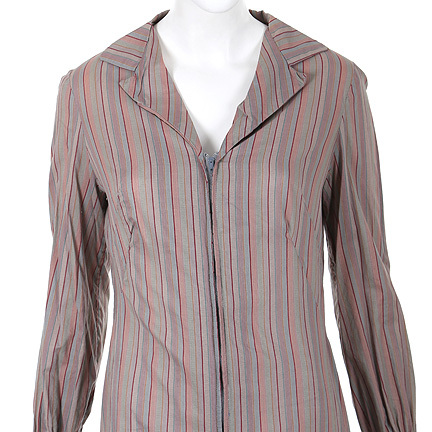 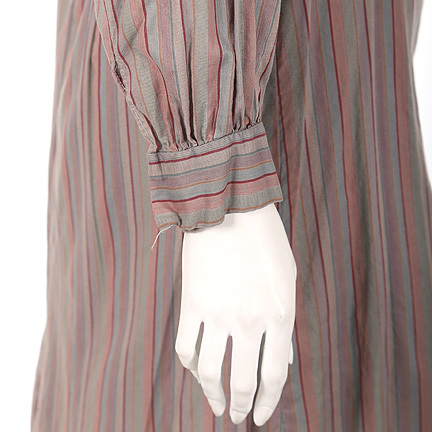 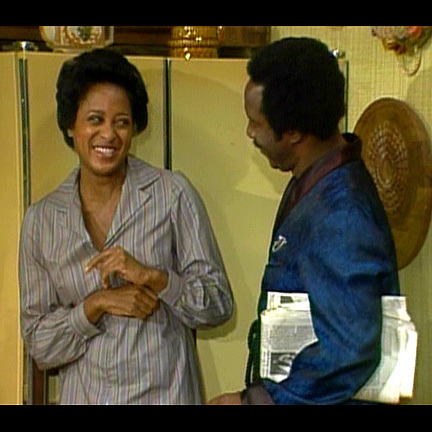 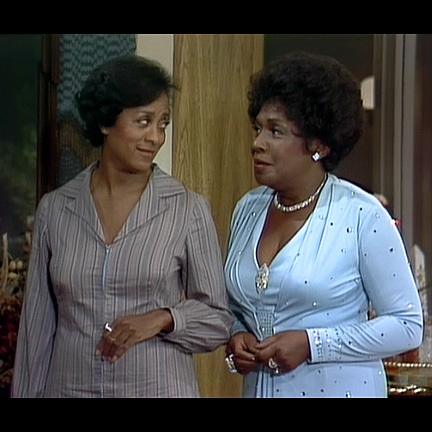 This item was initially seen in episode 11 of season 3, “Florence in Love” when Florence quits her job after the Jeffersons forbid her boyfriend to spend the night. 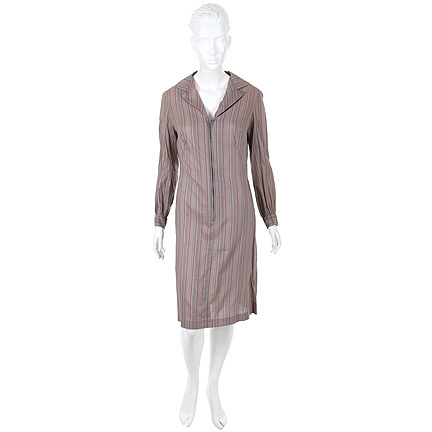 The dress is worn at the start of the episode when Florence’s boyfriend parades around the kitchen in George’s robe.